Once again, the American Translators Association (ATA) pulled off another fantastic Annual Conference. This year’s 56th Annual Conference was held in Miami, Florida from November 4th through November 7th, and Celina Gonzalez-Posse and I had the honor of attending the conference and representing the Georgia ATA Chapter (AAIT) at the event. There were more than 1,600 attendees who traveled from 52 countries, over 175 sessions covering countless language pairs and practical topics for both translators and interpreters, and plenty of opportunities for networking and/or reconnecting with colleagues and friends. There were also more than 75 exhibitors (including a large number of language service providers, translation and project management software companies, interpreting equipment companies, etc.). The conference officially commenced at the welcome reception on Wednesday evening, and from that point on, attendees were hurled into a whirlwind of information and networking opportunities. As a representative of AAIT, my mission was three-fold: 1) to gain skills and knowledge on ways to better serve our Chapter, 2) to represent AAIT at our Chapter table in the exhibiting hall and 3) to attend the most rousing sessions in an effort to scout potential speakers for future AAIT events. I kicked off the conference early by attending a several-hour long chapter and division leadership workshop the day before the conference began. During this workshop, we had roundtable discussions with other ATA Chapters on common issues that all Chapters face, and we each shared our successes and areas for improvement. Topics covered during this workshop included ‘Going above and beyond core services’, ‘Sourcing content for blogs or newsletters’, ‘Organizing workshops’ and ‘Finding speakers’. BTW – the AAIT is the first Chapter to ever organize and host a Job Fair. Everyone was very impressed with the idea. We’re trend-setters! This workshop was a wonderful opportunity for us to learn different strategies to better serve our membership and become better leaders. Jan Fox, a four-time Emmy award winning reporter/anchor for ABC and NBC, presented on Speaking boldly. Her inspiring presentation focused on how to improve your public speaking skills and make a bigger impact when speaking to anyone (but especially to clients and in presentation settings). She provided numerous useful and easy-to-implement tips to make you a better speaker. Grant Hamilton, a distinguished French < > English translator and owner of the translation company Anglocom, delivered a very practical presentation on how to improve your style and vocabulary to differentiate yourself as a remarkable translator rather than a run-of-the-mill translator. As the translation industry is fragmenting into a low-cost bulk market and a high-paid premium market, this topic is especially relevant to ensure you are in the latter and not the former. Jennifer Bader, a former US and French attorney turned freelance translator, presented on challenges in translating French Initial Public Offerings and other securities offerings. She explained the main differences between the French and US regulatory frameworks for IPOs, described the IPO process for both countries and discussed pitfalls that translators face when translating French IPOs into English. As a financial translator, I love hearing other people's thoughts on this particular field. 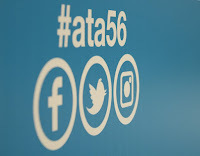 I have attended three ATA conferences in the past five years, and despite the fact that I am a much more seasoned translator now than I was five years ago, the ATA conference never fails to disappoint. You can make invaluable connections during these conferences, the sessions are thought-provoking and inspiring at any stage in your career, and for desk-bound translators working at home, it’s quite refreshing to get out of the house and interact with other human beings for at least a few days every year, even if you dread it before you go (I’m a hermit, I know the feeling). This year, I left Miami with countless ideas and goals, but one I’d really like to stick to would be this: going to the ATA conference every year. I’ll be following the yellow brick road to San Francisco come November 2-5, 2016. 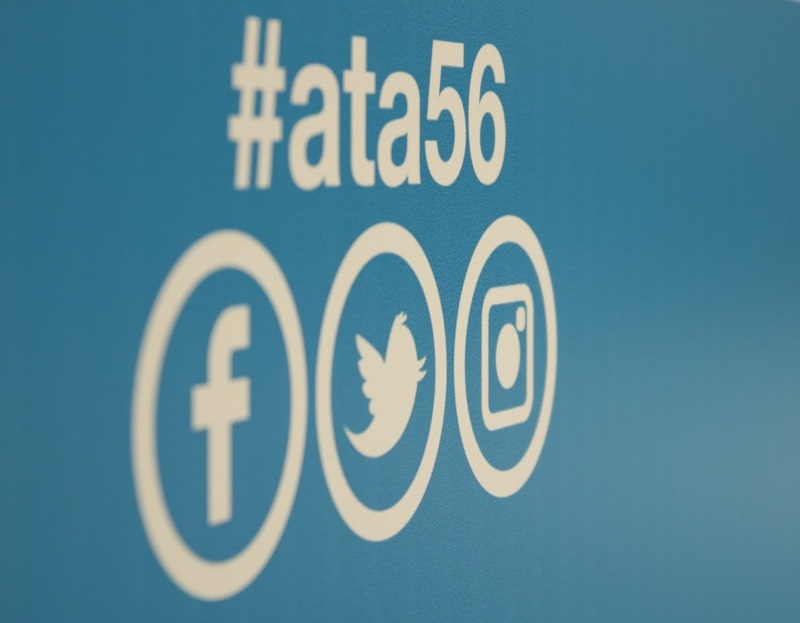 Want more info on the ATA’s 56th Annual Conference? It was so great, wasn't it? Thanks for this lovely summary. And the dance was the cherry on top--lots of fun! Wish we could have danced all night.... :) See you in San Francisco! Yes, the whole thing was so much fun! Thank you for reading! See you in San Francisco!